The Land of a Thousand Hills- thus Rwanda is rather romantically named. This however is probably not what this landlocked jewel of the African continent is known for. Along with its neighbour Uganda, it has become synonymous with the majesty of the mountain gorillas that reside within its verdant perimeter. This, and more pertinently, the horrific events of 1994 in which approximately 1 million Rwandans lost their lives in the genocide. To summarise the events of 1994 briefly: Decades earlier, Belgian colonizers split the population of Rwandans into Hutus and Tutsis. They were denoted not by some cultural or physical facet, but by the number of cows owned. Those families with over 10 cows were Tutsis. During Belgian rule, Tutsis were thus handed privileges such as land, often taken from wealthy Hutus, and an ethnic divide formed. Even following the colonisers’ return to Belgium, this rift was cultivated over 30 years until the early 1990s, by which time the Hutus had gained political power. Under a prism of deep resentment developed towards the Tutsis, their elimination was devised. For 100 days from April to July 1994, the massacre came to fruition; including babies, women and the disabled. Machetes were often the weapons of choice, and torture the method. You would be forgiven in thinking that such an unimaginable tragedy would better be separated from this country’s tapestry. Spending some time here, speaking with the people, you notice that the cultural divisions that caused the genocide have been completely eradicated. Speaking to a passenger on the bus, I jokingly referred to myself as “mzungu”; a term colloquially used to describe foreigners within East Africa. This was however met with: “No, there is only one race here, we are all human”. It is difficult not to be overcome by such a sentiment, given that almost all of the current population would have been affected in some way; a father murdered, a friend orphaned, teeth shattered (as was the case with our driver into Volcanoes National Park). This, and the fact that my experience showed Rwandan people are the most generous and gracious beings I have met anywhere in my life. As if determined to put this event deep into the annals of history, this country and its people are now as one. We arrived in Kigali, the capital and epicentre of the revival. Immediately, I was struck by how green my surroundings were. The road was immaculately paved and the sidewalks lined like an avenue with trees and clean space. Kigali, like Rwanda itself, is contoured across a series of undulations in the land. It is therefore blessed with a number of elevated vantage points allowing inhabitants and visitors to take in, and in the case of the latter, capture the vibrancy of the city. 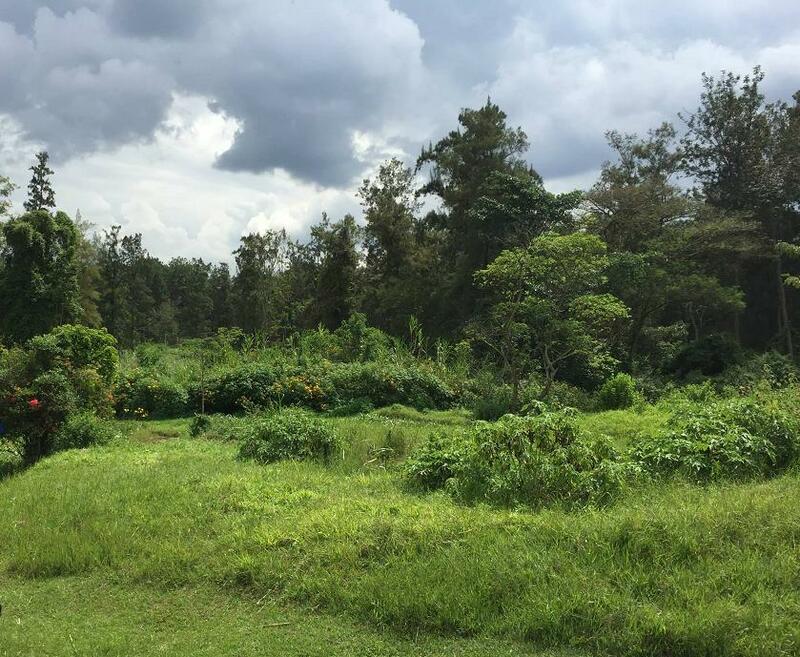 The neighbourhood of Nyarutarama, a leafy suburb that is ambient and peaceful, is my recommendation. The first port of call was the currency exchange. Rwandan Francs cannot be purchased in the UK, so take US Dollars for this. There was not a foreigner in sight, and so it was as if the road we stood upon was red carpet- expect the same. 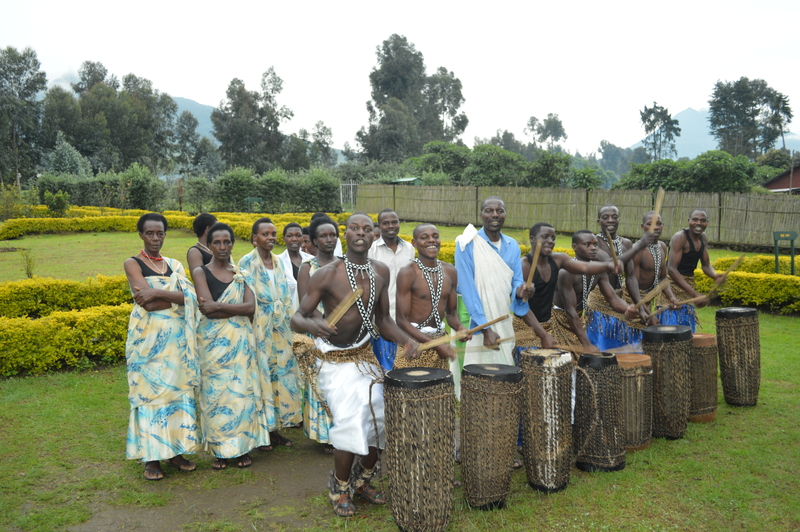 We had however learnt aspects of the local language, Kinyarwanda, via the usual online sources. Greeting the locals with “Mwiriwe” (“Good afternoon”), we were subsequently welcomed with appreciation. We sat down for some food and a drink with some locals overlooking the inclines and a round of Miitzig, Rwanda’s premium beer, certainly did not go amiss amongst our company. Being vegetarian, food options were limited. Saying that, there are some top quality offerings around. Khana Khazana offered a full array of aromatic Indian cuisine in a rustic, open-aired environment but was expensive in relative terms (probably about £10-£15). However, this was enchanting food with a couple of the dishes (the Malai Kofta comes to mind) being easily of the better standard found at home. We also tried Zuri, the Chinese equivalent of Khana Khazana, and equally as good. One surprise was the lack of authentic local offerings in Kigali. Rwanda itself does not have a signature cuisine as such, but we did try some excellent ugali (a maize-based dish in an aubergine and tomato sauce in this case) later in Kivu. We went out in the night to see what Kigali had to offer. Papyrus is a high-ceiling atmospheric space set around the bar its centre; it is set out in the hills and was an excellent warm-up before heading to one of the nightclubs in Nyarutarama. K-Club was nothing elaborate, but of course it’s up to you to make your own good time. One of the more memorable evenings we spent was in Car Wash, a recommendation of many locals. Climbing on the back of two mopeds, we set off together but arrived very separately as my driver got lost. A hairy moment I thought would ensue as we stopped amongst a very large group of very capable young men in bandanas. But in true Rwandan style they directed us straight to the place no questions asked. Car Wash is literally at the back of a car wash, being an absolutely huge concrete area smattered with steel tables and a bar at the very back. A Sunday night spent with the locals, highly recommended. Kigali’s main sticking point is undoubtedly however its memorial to the genocide. It is right up there with the War Remnants museum in Vietnam for its poignancy in portraying human existence at its most grotesque. The display inside is accompanied by a well-manicured garden outside, before coming across a sign signalling that beneath a large area of stone in front of us lay the bodies of 250,000 Rwandans that had lost their lives in 1994. The true horror really hit home at this point realising that bodies in the hundreds of thousands had seemingly been laid to rest in an area fit for significantly less. Kigali having left its mark, it was now time to fulfil one of my dreams. The journey to Volcanoes National Park (VNP) meant we experienced the local bus terminal for the first time. Chaotic is one word that comes to mind, frenzied another. Chickens in a battery house? Maybe too far. We went to the desk and bought our tickets (a two hour journey for £3) and again with the incredible assistance of a local found our bus. There was definitely not enough room for a comfortable journey on first glance, especially with our bags in tow. Now the Land of a Thousand Hills showed itself. It was a truly beautiful sight, enveloped in a meadow-like vivid green landscape. The time passed quickly as we arrived in Ruhengeri (our base just outside the National Park). We found some local cuisine; beans, rice, potato and cassava which went down very well. Ruhengeri is a small town sprawling either side over a half-kilometre stretch a road. There was really not much more to it than as a base to visit the National Park. Nonetheless, and perhaps unsurprisingly, the majority of its inhabitants have never stepped beyond its perimeters. The price for locals to obtain a gorilla permit is around £30. For foreigners, this becomes about £500 ($750). In nearby Uganda, the price is £400 (USD $600) but the experience is different in that the gorilla families are lower-lying and so the end of the day features an arduous trek back up the valley. Additionally, to reach the Bwindi Impenetrable Forest where they reside is probably a two day journey from Kampala, compared to the two hours we had just undertaken. 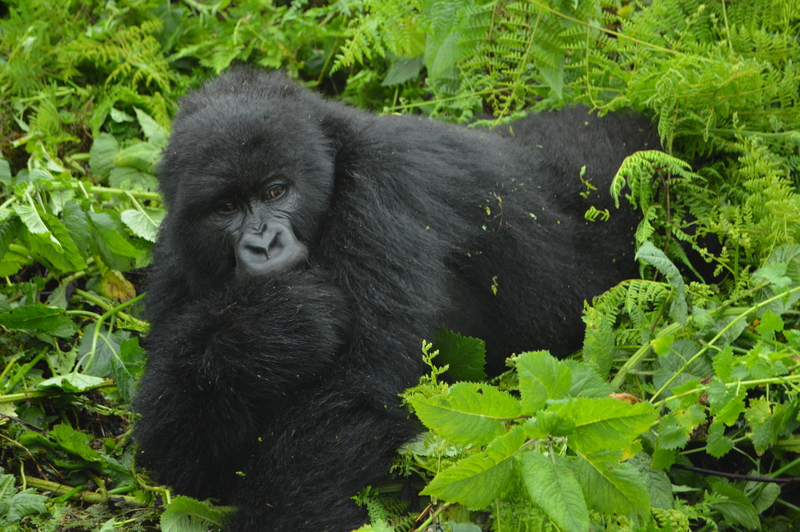 In Rwanda, there are 8 gorilla families that can be visited. Per day there is a restriction of 64 permits, that is to say 8 people per gorilla family. The decision about which to visit hinges mainly on how high up they reside. This was not a factor for us so instead we sought the advice of the company we booked the jeep into VNP with (another $80). 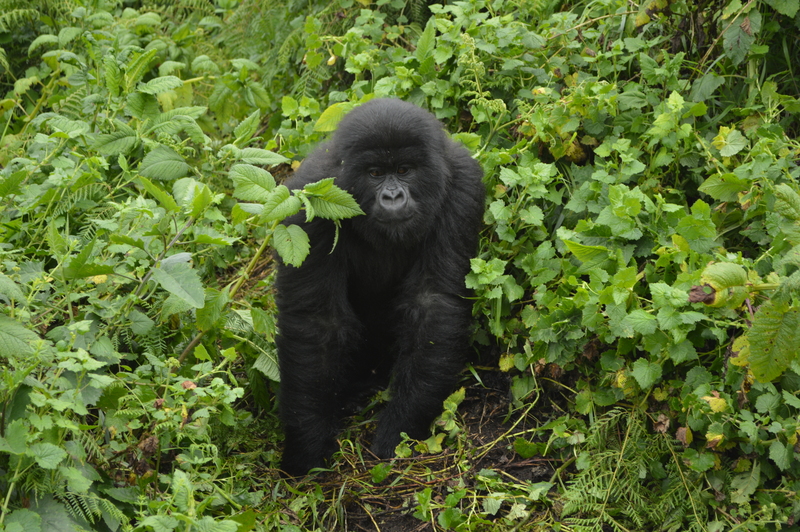 He mentioned an impressive 27-year old silverback named Charles and a baby two month-old gorilla in the Umubano family and our decision was made. Bosco, a 46-year old man who genuinely looked 26 came to pick us up as we incredulously laughed when he told us his age. As mentioned above, his teeth had been destroyed by a blunt-forced attack with a bayonet during the time of the genocide. In a display of human chivalry however, two guests he had previously driven had flown him to America for full treatment. The journey into the park from Ruhengeri took 45 minutes, with the last 20 being like driven through an exploding minefield as the road turns to hand-sized cobbles. We were greeted by a welcoming 15 minute drum and dance performance by a group of 20 men and women (and for a brief moment myself as I was summoned up). Affectingly, some of them had been at the forefront of genocide attacks and had since reformed. The trek then began through the tea plantations amidst a backdrop of the mountains glinting in the sun. As we ascended the thick rainforest, the stunning views soon became apparent. I was feeling pretty lucky at that moment. After a one and a half hour testing climb in the heat, an unmistakable black figure waded through probably ten metres in front of us. Just like that, I was living out my dream. Over the next hour, we were statues on the precipice-like slope whilst around us the gorillas went about their daily business. You are not allowed to make any physical contact and must remain 7 metres away. However, at times the younger and more curious gorillas approached our group, and you must stand perfectly still in what had to be the most surreal experience of my life. Other highlights included the first sighting of the 7-foot silverback Charles, who looked exactly as I had imagined. Also unforgettable was the sight of one of the blackbacks barrel-rolling down the hill and almost taking out the mother like a bowling pin and the exceptionally cute baby as a spare; and being admonished with a thunderous grunt, startling enough I lost balance and fell into the bush. Eventually, the time came to descend, and the heavens opened up. The next two hours became gruelling, as the group attempted to remain standing. Two spectacular falls later, and indebted to a guide who anticipated every impending fall with the horrified expression on my face, we arrived down after an unforgettable experience. We tipped our guides (discretionary but in practice necessary) and myself still in dazed euphoria bought a t-shirt of a gorilla resembling Che Guevara. As we arrived back, our hotel offered to do our laundry free of charge, including my white trainers which were now resembling dark chocolate, and they returned spotless. 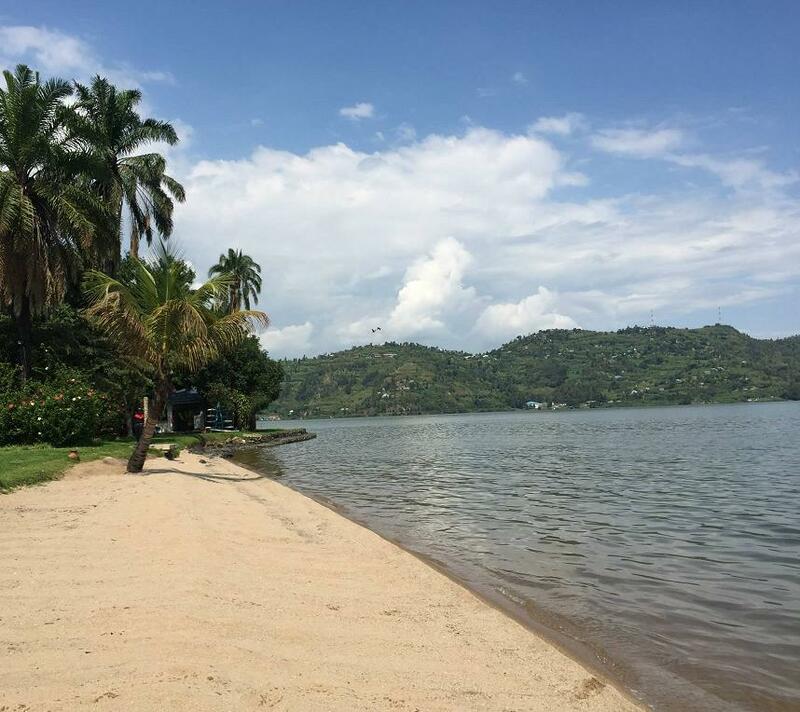 The last days of our trip were spent by Lake Kivu to wind down. Another two hour bus journey followed into Gisenyi and into our hotel by the beach. Our location was a 15 minute walk from the border with the dangerous Goma, a bordering town in the Democratic Republic of Congo. In the background on our first night, the distinct sound of gunshots echoed- but we had no problems at all in the time we spent by the lake. 7 km around the cliff in Bralirwa was a brewery open to the public one day a week (Friday). We went on Saturday. Onwards then to the hot springs, where we expected the same thing you’re probably picturing now. We were met by a corn-on-the-cob sitting in some water about 7 inches deep. However, with the help of a student on his way back from university, and another whose father had been murdered in the genocide, we came to some more conventional hot springs set against the lake. The walk back was memorable as we passed through the small fishing town along the banks, and behind us gathered a crowd of small children exclaiming “Hello, good morning”. It was on the way back we found the restaurant serving ugali. We ordered additional food and took it with us as we continued on. Again, the rain started as I desperately protected the bag of food by doing my best impression of the lead in the Disney classic The Hunch-Back of Notre Dame. We came across four kids heading in the opposite direction, and gave them the bag. Their elation was palpable, and as we rounded the cliff it added to the ambience created by the overhanging trees on one side, and the perfectly still lake stretching into the horizon on the other. There was a great place we frequented every day called Thai Jazz, with the area around our hotel being quite quiet. It is an open bar-restaurant overlooking Lake Kivu and served by Eric and Frank, who became two of our closest friends. Eric took us out one night, maybe at 4am, to a club called Border Guesthouse which was a “15 minute walk”. 45 minutes later having walked through an abandoned ghost town in pitch-black darkness and regretting our decision, we arrived at the border of DRC Congo to find a closed Border Guesthouse and an armed guard. We shared a couple of friendly greetings but never found out the fate of the Border Guesthouse. Frank is a teacher who moved here from the DRC in search of a job, but ultimately in the mean-time had to take this job to earn some money. Two of the friendliest people I have ever met, and we remain in touch. Fittingly, on our return to Kigali to catch our flight, it was the overwhelming generosity of the Rwandan people that became our last memory. We met Wilson on the bus home, and having spent the first hour working his charm with the lady sitting beside him, he gave up and turned his attention to the second-prize foreigners sitting in the row behind. He insisted we came to his bar when we arrived, and duly we went up before he offered us drinks on the house. As we boarded the plane home, having thought that it was the mammal with which we share 98% DNA that would be the highlight, it was matched by the experience we’d had with a species far more familiar. It genuinely was an incredible experience. You seem to have many adventures of your own, will keep a keen eye out. Just had a wonder through the wishlist- anyone would die more than happy with those in the memory.